Talking about the case, Rose Davis has been murdered and “Hail Lucifer” has been carved into her back. This upsets Lucifer. All this while, Lucifer is keeping his distance from Chloe. Chloe thinks it’s because she opened up to him but he is onto something else. He suspects that Chloe is an angel in disguise. But we still do not have enough proof if he is right. At the next crime scene, Rose’s boyfriend, who was the primary suspect in Rose’s murder case, is found strung up and Morningstar has been written out in red paint. Lucifer is so pissed off now. He is upset about the lives that have been taken in his name. But in spite of this, he is also a suspect now. Malcolm saves Lucifer from getting indicted when Lucifer was threatening a preacher who knows Lucifer’s identity. It is then Lucifer discovers that Malcolm is the real culprit. Luci and Malcolm are fighting each other just when Amenadiel shows up to confront Lucifer about Maze. Amenadiel tells him that Maze was trying to kill him all this time but he does not want to believe any of it. They start attacking each other only take pause when Maze appears. She reminds them how both of them used her for their own benefits and walks away after leaving a pair of demon daggers to kill each other with. Amenadiel chooses to leave instead of killing Lucifer. He is stuck in a moral dilemma. He doesn’t want to stand in front of his father as a failure, but his conscience makes him wonder if God would even forgive him for his actions. 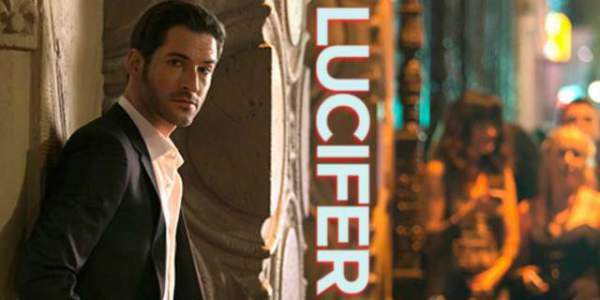 Lucifer is left under the care of a nurse, drinking all by himself before Chloe shows up to enquire about the earlier events. Before everything can be explained, however, she discovers the body of the preacher on the other side of the bar, much to Lucifer’s astonishment. She pulls her gun on him and puts him under arrest. With only one more episode left to go, we wonder how much more this series has under the store for us, given that another season is already into making.